The Fusion Amman Valley 5k and Junior Fun Run took place at Ammanford Leisure Center in July 2010. The event proved to be a success with children from many of the Amman Valley schools taking part. There was a £200 donation being given for the school that had the highest number of participants. 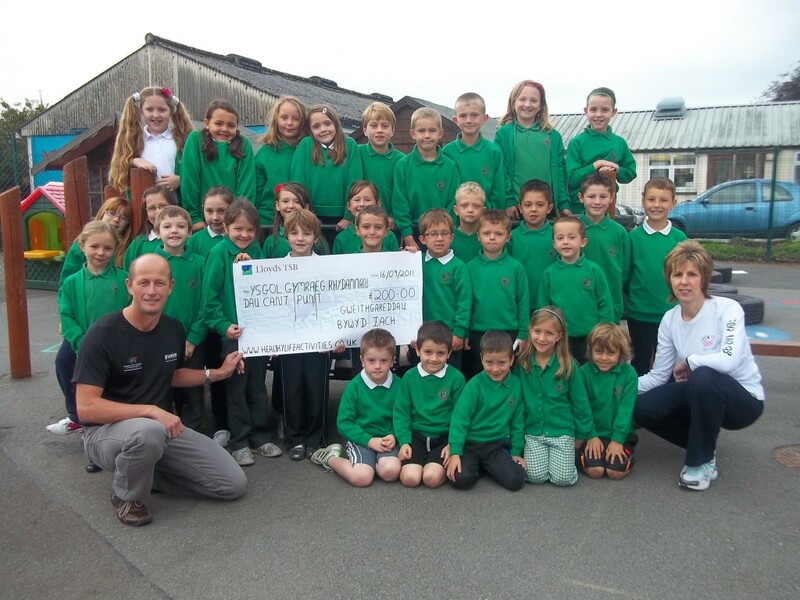 Ysgol Gymraeg Rhydamman had over 20 pupils taking part in the event and Healthy Life Activities Chairman Noelwyn Daniel made the presentation to the school. The donation will be used to assist with the purchase of sports equipment for the school. Healthy Life Activities strongly believes that it is viatlly important to invest in our children and to encourage them to participate in healthy life activities as part of their daily activities.